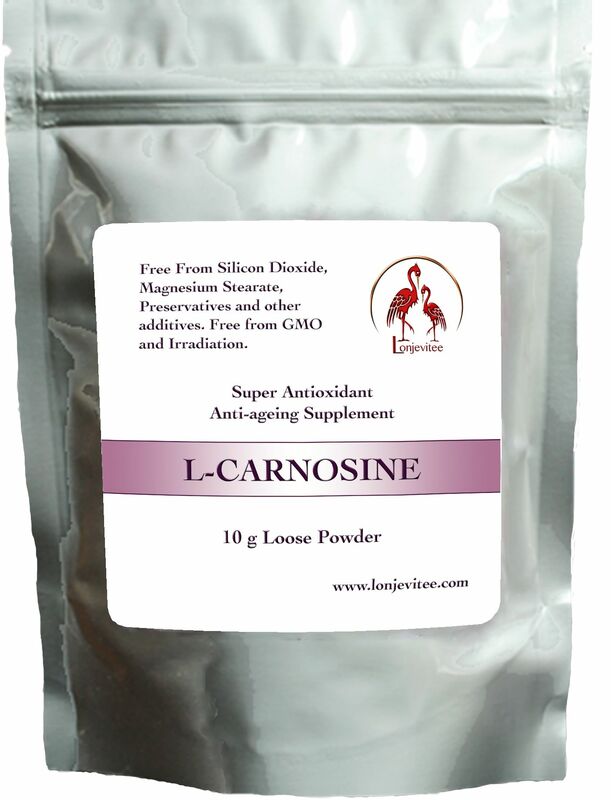 10g L-Carnosine anti-ageing super antioxidant vital for youth and health maintenance and immune protection. Great stuff. Bought the wee one then when I felt better in a couple of days I bought a bigger one. Keeps me feeling good and healthy.